Posted on June 14, 2013, in Death, Depression, Humor and tagged Bombadil, depression, humor, John Oliver, Jon Stewart, So Many Ways to Die. Bookmark the permalink. 20 Comments. Oh, no! Not a bad haircut! I feel sometimes like I can face anything if I have a good haircut. But a bad haircut? I have literally hid under a blanket for days. I’m so sorry. I hope things turn around soon! The first thing I thought of when I woke up this morning was that I was going to have to do everything today with a bad haircut. I really was tempted to stay under the blanket! Luckily, it is the perfect of time for year for stylish summer hats. I completely agree about John vs. Jon, and would completely understand that being the cause of your difficulty. Change is hard. But we’ll get through it. 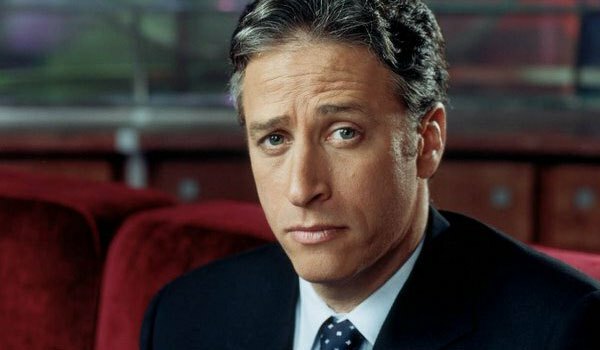 I need to find a Jon Stewart rehab facility. Yup. It may be time to step up the dosage, at least till Jon gets back. Now I just have to figure out a way to explain that to my doctor. 😦 sorry it got bad again! I bet you no one else thinks your hair looks bad- only you. Dimples and the Cap’n have been pretty reticent about it – which means they hate it, too. Now, see, I interpreted that video to mean I don’t take nearly enough risks in life. Who the hell is Jon Stewart? He is the hilarious host of The Daily Show, but he is currently on a break to direct a movie. I would recommend that you watch him some time, but I guess that would probably be like a friend advising someone to smoke marijuana. oh how I’ve missed my blog reading! back to my normal life! NATIONALS!!! holy moly. that’s big-time! I wish her all the best. that is great. your hair? it will grow out? that’s what I always tell myself – as I’ve been the recipient of many a style that didn’t quite “work.” jon? he’ll be back. and he probably misses you, too? the video – hilarious. Thanks, on the Nationals thing. It’s one of those, Hooray – Oh, Crap feelings. Hooray she qualified, and Oh, Crap how am I going to pay for this? It’s in California. Her dad is going with her; long story. I think you’ll be alright.